Showcasing the heart of the client’s promise to their customers. Compliance Architects needed their personality and messaging to be as clear and simple as the information they supply to their customers. 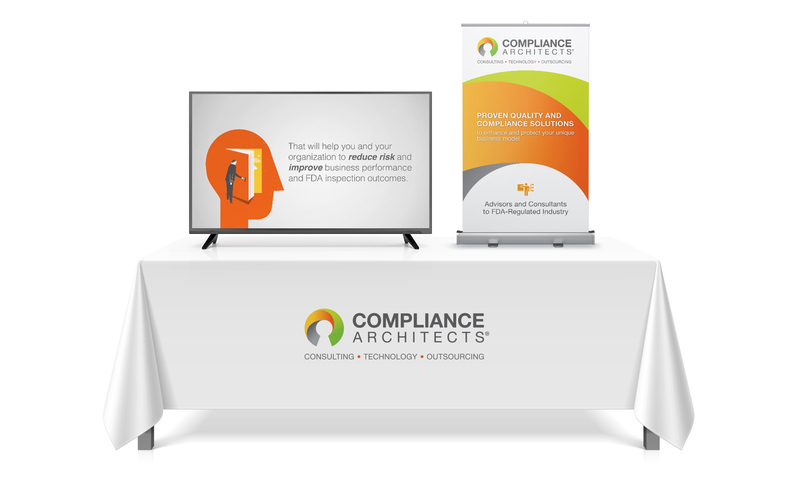 We developed branding, communications, and experiential solutions that would embody the clarity, simplicity, and efficiency that was being offered to Compliance Architect’s customers seeking FDA approval. A sophisticated logo was crafted evoking a turnkey solution for clients that face complex challenges. We created a clean and organized visual system with a vibrant color palette and simplistic iconography. These guidelines were used consistently in both digital and print to achieve brand recognition. To organize a wealth of content and resources, the hierarchy and flow of information was a very important focus. Before delivering a creative look, a site map and wireframes were developed. This helped to determine the location and prominence of elements based on their importance and site architecture that would improve click-through. 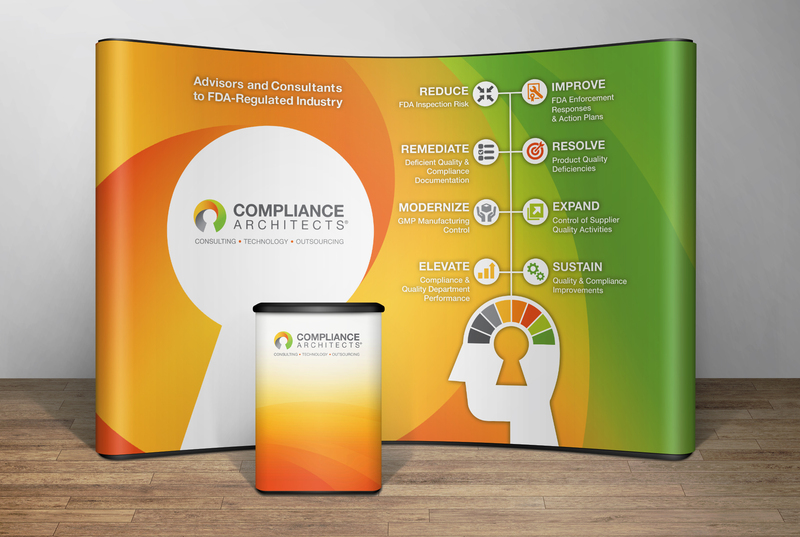 A booth and banner were created with broad company messaging to maximize their usability for any event. For each specific audience, individual slideshow loops and print materials are customized for the event.